YFU Belgium is represented by two offices, one for the French-speaking part of the country and the other for the Dutch-speaking. 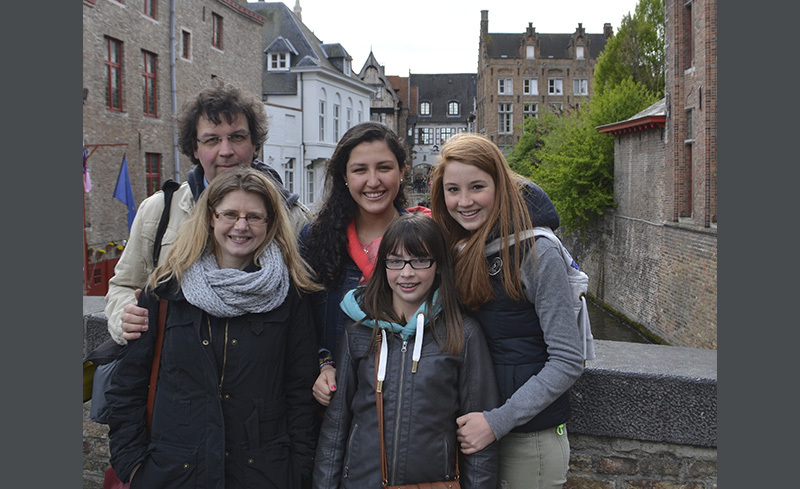 YFU Belgium-Wallonia is the French-speaking program, and it offers a special opportunity to help develop your French while exploring Belgian life and culture. This program requires two prior years of education in the French language. Students who do not meet this requirement can be accepted on a conditional basis of proving their lingual comprehension in other ways. School uniforms, textbooks, and other school materials are not included in the program tuition. Program tuition does not include personal spending money. With its 99% literacy rate, Belgium is no pushover when it comes to schooling. Belgium is ranked 16th by the Organization for Economic Cooperation and Development (OECD) when it comes to education, proving that it has top quality teachers and schools. The educational system is divided between a state system and a private, mostly Catholic system, both of which are free. While native Belgians can choose from Technical, Vocational, or Art Secondary Schools, most YFU students will be enrolled in General Secondary Education. All students applying for the semester or year program must be available for a mandatory 3-day National Pre-Departure Orientation, which is typically held in mid-July. This orientation is a required part of your program aimed to prepare you for your experience overseas. All students will participate in a one-day local pre-departure orientation in May or June. Belgium Wallonia offers three in-country orientations; “post arrival orientation”, “follow-up”, and “re-entry” to support their students and host families throughout the program. Most Belgian high schools do not offer extracurricular activities. However, YFU students are encouraged to join sports, clubs, or teams in their local communities in order to get involved and meet locals! Students on the year-long program are invited to partake in a cultural trip to Paris in February/March. For a few days during Carnival holidays, students will get the opportunity to meet fellow international students and explore together. There is also an opportunity to join a day-trip to Cologne, Germany in which students visit the famous German Christmas Market. French. French. Students are required to have either taken two years of French in high school, or pass an online language test. Students are typically placed in suburban areas or in villages.